This map of Costa Rica demonstrates the driving distances between most popular destinations. Due to the mountainous, windy roads, this map can also tell you approximately how long it will take to drive from one destination to the next as you can roughly calculate one kilometer per minute of travel. 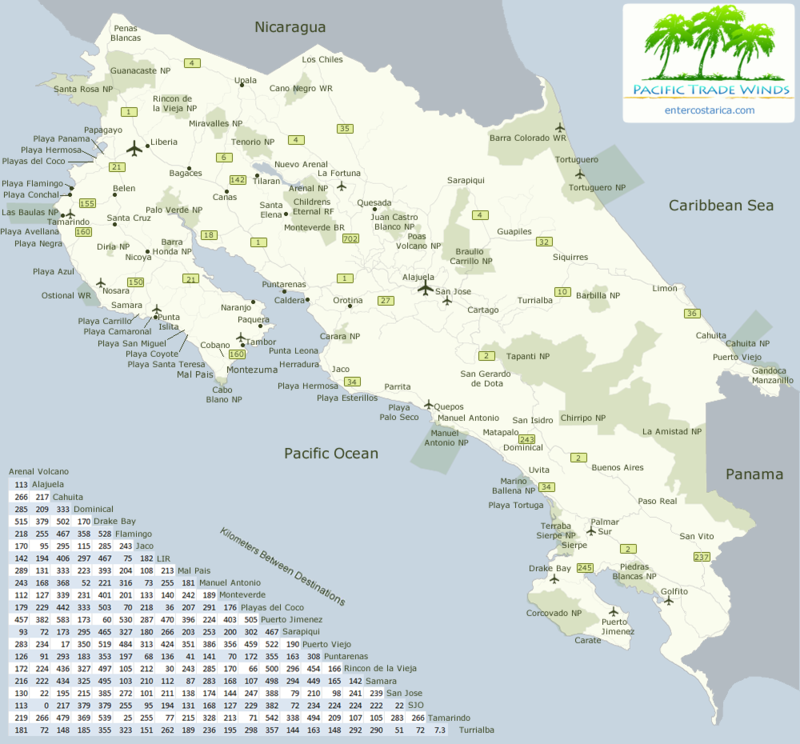 Click on the following link for a full size version of this map of Costa Rica.